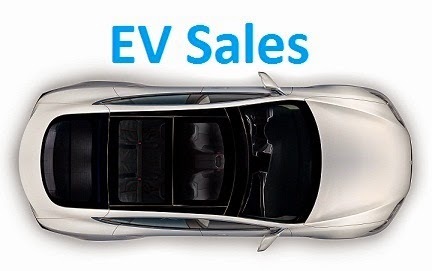 With 41.680 plug-ins sold in June, the global market for electric cars almost broke the 42.720 units sold last March, but even so, it is a 37% increase over the same month, which is nothing to be ashamed of, and with 204.256 units sold this year, the 400k sales by the end of the year looks like a given. An important event this month was the first Monthly Best Seller Title for the Tesla Model S, after two months menacing the Nissan Leaf lead, it has finally achieved the top spot, ending a 18 month streak of consecutive #1's from the Nissan Leaf and marking the first #1 for a Tesla model in six(!) years. - The Renault Zoe is experiencing a second coming this year, with sales up 143%, the same can be said about the veteran BYD e6, which has seen its sales double regarding last year. - On the other hand, the two laggards here are two veterans, the Chevy Volt sales are down 33% and the Prius Plug-In does even worse, down 62% and losing 11(!) positions in the ranking. Because this is a half year edition, the ranking includes cars from #11 to #20, where we can see some interesting facts, like the Audi A3 e-Tron already showing up in #12 (Will we see it in the Top 10 soon? ), #14 Ford Fusion Energi far away from last year performances (It ended in #8 last year), with two newcomers at the bottom in #17 we have the Fiat 500e and in #18 the Roewe 550 PHEV, both models have had a welcoming reception from consumers, let's see if their parent companies really get behind them and make them the sales hits they deserve to be. Finally, a mention to segments not represented in the Top 20, the small Mitsu Minicab Miev Pick-Up continues to be the sole model in the Pick-up truck segment, with symbolic sales (105 units this year), in the Full-size Luxury (F-Segment), the Porsche Panamera (645 units) is still beating the Merc S-Class by a portion of 2 to 1 units, the BMW i8 (2.209 units) continues to put to shame the Cadillac ELR (614) in the Sports Car class and finally, the LCV's have an interesting race between the Nissan e-NV200 / Evalia twins and the Renault Kangoo ZE, if the french vehicle never had real competition until last year, Nissan's van changed all that, the japanese is now ahead by 397 units (2.016 vs 1.619), but the french is on the rebound and in June alone it has shortened the distance by 175 units, so this particular race still has a lot to run until the end of the year. 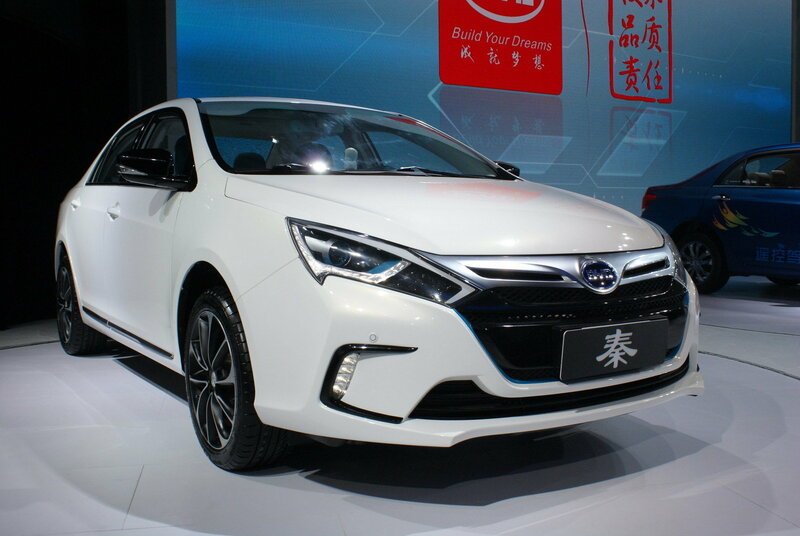 In the Manufacturers ranking, unsurprisingly, BYD is going from strength to strength, selling 5.037 units, beating again Nissan in June and surpassing Mitsubishi in the YTD ranking, ending the month in #3. Nissan continues in #1, but the competition is far closer than in June '14, the japanese carmaker lost 7% share since then and is now being closely followed by Tesla (Up one position to #2) and BYD. Mitsubishi, on the other hand, dropped two positions to #4 in just one month and it's better that the restyled Outlander PHEV rebounds their sales soon, or else the #5 Volkswagen could start to have them in its sight. #7 Renault had a great performance last month, now being less than 1.000 units behind the #6 BMW, if the french manufacturer continues to push on sales, it might give BMW some headaches in the future. Looking below the usual Top 10, we see some newcomers in the ranking: Audi in #12, Roewe in #15 and especially Mercedes in #17 appear in the Top 20 and promise to rise even further in the ranking, while others became notable absenses, like Volvo (#21) or Smart (#22). Kia is #23, but it has already sold more units in these six months than in the whole of 2014, so expect it to rise to a Top 20 position until year end. Mitsu Minicab Miev Truck: Best Selling Electric Pick-Up Truck. In the World. Respect. Another negative month (The third in a row), with sales in June down 49% YoY, and only 11k sales YTD, you have to go back three years to see such low numbers in this market. Looking at the brands ranking, Nissan (50% Share) has a large advantage over Mitsubishi (32%), and is most certain to win the manufacturers title for the fourth time, the third in a row (Nissan won in 2011, 2013 and 2014). Many people have asked for a breakdown between plug-in hybrid and pure electric sales, here it is a small report regarding the most representative markets and their evolution since 2012. It is easy to see that for the moment pure electric are resisting quite well to the announced take over from plug-in hybrids, in fact, the rise of Tesla has been a boon for BEV's, just compare the 2012 global numbers with the current ones. Looking closer to some markets, it is curious to see that the US market and Canada went from Volt PHEV predominant to (Tesla) BEV prevalent. The other way around ocurred in the UK and Belgium, in 2013 three out of four plug-ins were pure electrics, now PHEV's are the best sellers in these markets. The PHEV champion continues to be the Netherlands, with plug-in hybrids steady between 75-85% Share, while Denmark is all for pure electrics, with PHEV's only able to grasp 1 to 3% share. China is continuing to score record performances (12.810 units in June, 0,46% EV share vs 0,25% last year), with new cars showing up almost every month, last month the Chinese EV Market was only 103 units away from setting a new all time global monthly sales record, by the way, for the first time that the asian giant surpassed the US in the YTD sales (54.665 for China vs 54.177 for the USA). The French market is also growing, it is now firmly above the 1% barrier, while the UK and Germany continue their way up, both with double digit growth rates. The two EV champs, Netherlands and Norway, also had positive months, with the EV Share (5,94 % and 23,22% respectively), keep on being the envy of everyone else. The only laggards on this club are the USA (0,64% this year vs 0,73% in '14) and Japan, the asian market is plunging to values of 2012 and there doesn't seem to exist signs of hope in the short term, if Japan was the Third largest EV Market in 2014 (And #1 in 2010), now is just...Seventh. 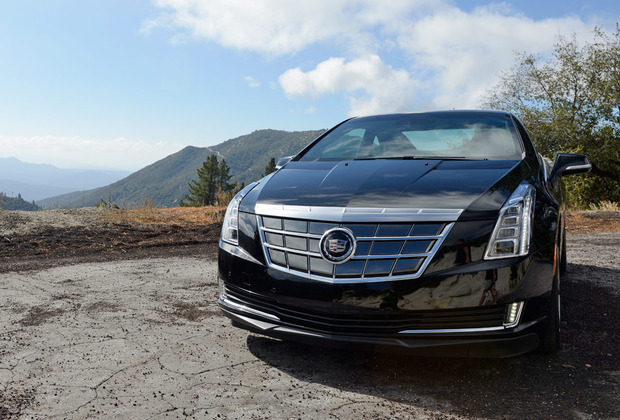 If the japanese EV sales continue to fall, this G8 could lose a member and change the name again to G7. China - 120.000 units/year, Qin #1. Year Two for this market, sales continue to go above expectations, the montlhy numbers are now consistently above the 10K area, with new players coming in, new record sales are expected, so i wouldn't be surprised if sales passed the 130K line by the end of the year. The Best Selling Plug-In in China this year is and will be the Qin, no doubt about it. Norway - 25.000 units/year, Leaf #1. UK - 20.000 units/year, Outlander PHEV #1. Another Year Two, sales continue to grow, with numbers already in the 15K area, so i wouldn't be surprised if sales reached some 30K by the end of the year. The Mitsu Outlander PHEV continues to be the Best Seller by a long shot, doubling sales of the #2 Nissan Leaf. Besides these, EV Shares are up in Germany (0.60% vs 0.44%), Belgium (0.73% vs 0.44%), as well as Ireland (0.47% vs 0,27%) and Portugal (0,35% vs 0,25%). There are also big EV Share dips, besides the aforementioned case of Japan, Estonia is also down sharply, this year it has just 0,35% Share, when last year ended with 1,57%. Does anybody know the reason for this sales freeze in the baltic country? With some 16.100 units, the European EV market had its second best month ever, with an 80% improvement YoY, with the 79k sold in the first half of the year, it looks that last year record result (100k) will be achieved by next August. Not bad, eh? Looking at the monthly models ranking, the Renault Zoe made a brilliant result, selling 2.487 units (Year Best), almost reaching the #2 Nissan Leaf in the YTD Chart. As for the rest of the monthly ranking, both the Tesla Model S and Nissan Leaf had positive YoY results, making three BEV's in the Top 5, while VAG's plug-in stars continue to impress: Both the Golf GTE and A3 e-Tron hit new personal records (1.705 units for the first, 931 for the second), meaning both will be major threats for the established players in the near future. Final mention for the good performance of the Renault and Mercedes models, if the Zoe was #1 for the first time this year, both the Twizy and Kangoo ZE also hit year best performances, while on the german side, the B-Class continues its slow but steady sales increase (Record 363 units sold) and the C350e Plug-in Hybrid (363 units, a new record) was just 30 units below the D-Segment leader, the V60 Plug-In, and now looks ready to take on the swedish and become the leader in that niche. 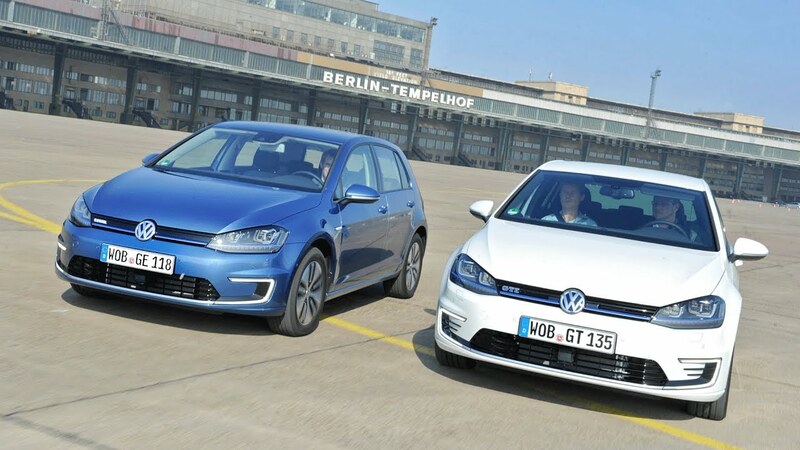 Looking at the YTD ranking, the Golf GTE climbed another step, it is now #5, switching positions with its e-Golf brother, the Renault Kangoo ZE also climbed one position to #11, dropping the VW e-Up! to #12, considering that the german city car already lost six positions regarding last year, it would be a good idea for Volkswagen to reconsider the price and provide a healthy rebate to it. Looking at the brands ranking, Volkswagen's armada (Five models, the largest lineup) recovered even more ground to the leader Mitsubishi, both brands are separated by just 232 units in the YTD ranking and it looks that July will witness VW conquering Europe's EV Manufacturers Throne. As for the Third Place, Renault distanced itself from its japanese cousin, Nissan, now a thousand sales away. We now have an enlarged version of the ranking, covering the 30 best-selling EV's in Europe, allowing us to welcome the Mercedes S500e PHEV in #26, the Ford C-Max Energi in #27, or to salute the return to our radar of the Opel Ampera (Yes, it's still barely alive), in #30.